Make no mistake. Downing Russia’s aircraft was provocative Turkish aggression – a clear act of war against a nonthreatening nation. It’s inconceivable that President Erdogan acted alone, unilaterally deciding to attack the Russian plane – then lying about it entering Turkish airspace, warning “10 times” (an absurdity on its face) before downing it with one or more air-to-air missiles. Following the incident, he said he acted in accordance with Turkey’s rules of engagement. “Nobody should doubt that we made our best efforts to avoid this latest incident,” adding he harbors no “enmity” toward Russia. Washington dominates NATO policy, including appointing its secretary general and other top officials. Alliance statements reflect US interests. Fact: US-dominated NATO maintains Alliance combat troops provocatively close to Russia’s borders, along with saber-rattling/tension-provoking military exercises in the same areas – recklessness risking direct East-West confrontation. Speaking for Washington, his statement explicitly endorsed Erdogan’s act of war on Russia – instead of condemning it unequivocally. Longtime imperial tool UN Secretary-General Ban Ki-moon effectively endorsed what happened by failing to condemn it outright. Fact: It’s crystal clear what happened. No ambiguity exists. 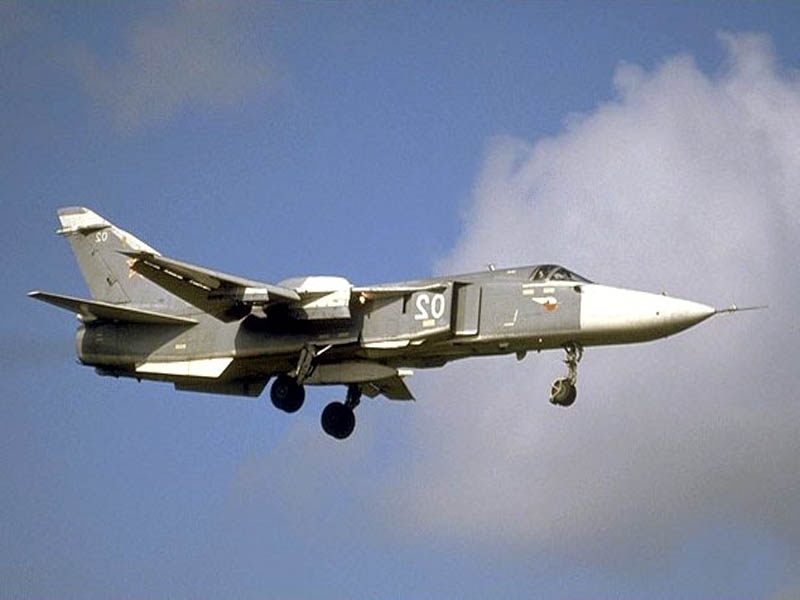 One or more Turkish warplanes downed Russia’s aircraft in Syrian airspace – a double crime: aggression against Russia and violating Syrian airspace either by entering it or firing one or more missiles into its territory. Meeting with French President Francois Hollande in Washington, Obama revealed his dirty hands, saying “Turkey, like every other country, has a right to defend itself.” He called Erdogan, expressing support, – at the same time, accusing Russia of attacking nonexistent “moderate” rebels in Syria and propping up Assad. “If Russia (directed) its energies towards Daesh and ISIL, some of those conflicts or potentials for mistakes or escalation are less likely to occur,” he blustered. Hollande showed which side he’s on, refusing to condemn Turkish naked aggression, urging efforts to prevent escalation. Fact: In contrast to US-led NATO’s support for Daesh, Russia is effectively combating it, routing US foot soldiers in Syria since September 30, changing the dynamic dramatically on the ground – challenging America’s regional hegemonic objectives. Instead of condemning Turkish aggression, British Foreign Secretary expressed support for Ankara as an “important (UK) ally. It holds the key to a number of important questions both in relation to the battle against ISIL but also in relation to the migration challenge that Europe faces, and it will remain a very important partner for this country and for the European Union,” he claimed. 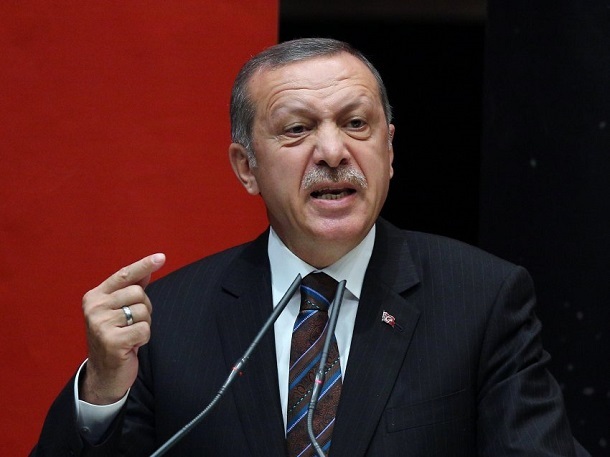 In response to Erdogan’s aggression, Putin suspended military and maybe economic cooperation with Ankara. Russia’s General Staff said a Moskva guided missile cruiser off Syria’s coast was ordered to destroy any target posing a danger to Russian operations in Syria. 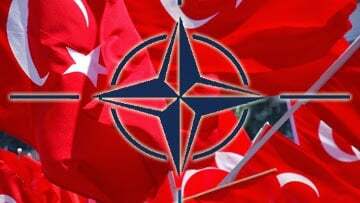 Putin, Medvedev and other Russian officials know Turkey is complicit with Washington in recruiting, arming, funding, training and directing ISIS elements along with other terrorists on its territory, aiding their free movement cross-border into Syria and Iraq and back. Moscow may cancel joint economic projects with Turkey, including a pipeline, letting it become a major transit country for Russian gas and construction of its first nuclear power plant. Russia’s ambassador to France, Aleksandr Orlov, said Syrian forces rescued one of its two downed pilots. “One on board was wounded when he parachuted down and killed in a savage way on the ground by jihadists in the area,” he explained. Erdogan’s reckless act, with virtually certain US support, destroys chances for East-West cooperation against terrorism – at the same time, upping the stakes for direct confrontation. The Doomsday Clock inched closer to midnight.